Arnica is a perennial herb that originates from Europe, eastern Asia, Canada and the northern United States. Herbal medicines are often prepared with the daisy-like flower, rhizome or root of this herb. Infections, inflammation and wounds can be relieved or healed by using Arnica herbal home remedies. Even homeopathic medicines are also prepared with it. A majority of the claims regarding the effectiveness of this plant are supported by scientific evidence that is currently available. Arnica is a poisonous herb and cannot be consumed directly, orally. Numerous serious reactions, which include allergies, have been caused by the direct consumption of this plant. The medical/ scientific name of Arnica is Arnica Montana, while it is also known as Arnica Root, Common Arnica, Leopardsbane, and Mountain Tobacco. Consuming Arnica can prove to be lethal, but herbal home remedies using it are meant to be applied on the skin. Bruises, sprains, sore muscles, sunburn and wounds can be healed and soothed by using it. Irritation from accidental injuries, acne, arthritis, burns, chapped lips, eczema, eczema, irritated nostrils and sore throat can also be relieved by applying it on the affected areas. Organic chemicals like flavonoid glycosides and sesquiterpene lactones, which apparently reduce the pain, redness and swelling caused by inflammation, are contained in Arnica. Even bacterial infections can be healed using arnica home remedies. Using this herb orally is not recommended because the stomach can be irritated by it and can lead to diarrhea, nosebleeds and vomiting. According to some homeopathic practitioners, bronchitis, colds, epilepsy, fevers, inflammation of the mouth and throat, and seasickness can be treated using a really diluted solution.. The use of Arnica for the treatment of the effects of accidents, injury, insect bites, inflammation of the mouth and throat area, has been approved by Germany’s Commission E. As for internal use, it is regarded unsafe. Some herbal skin-care products and shampoos contain it as an ingredient. 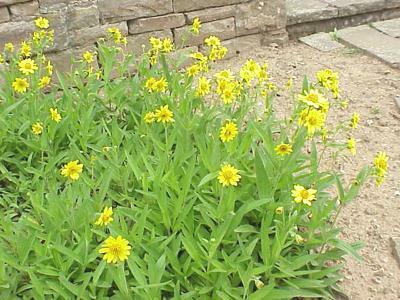 People can use Arnica as a cream, cut herb, gel, liquid, oil, ointment, powder, salve, spray, tea, tincture or as a whole. A poultice or a moist mass of the plant can also be made by soaking it with water, which can be placed on the skin directly. Usually, 15% or 25% tincture, which is a mixture of Arnica and alcohol, is contained in these ointments. Using a very strong solution should be avoided as it is likely to cause blistering and inflammation. Reportedly, little or no actual Arnica is contained in homeopathic liquids claimed to use it that people are supposed to place under their tongue. Extremely minimal or undetectable amounts are contained in homeopathic tablets, but the dosage can differ. For hundred of years, Arnica flowers and roots have proven to be useful for the preparation of herbal medicines. It has been claimed that Goethe, a German philosopher and poet would drink the tea for chest pain relief. At some point, smoking the herbs leaves were used just like tobacco. When it comes to using this herb topically, single, small doses are regarded safe. Blisters, inflammation, itching, skin reactions, skin ulcers or allergic skin problems can occur if Arnica is repeatedly applied to the skin. The risk of irritation can increase if an extremely concentrated solution of this herb is used. The risk of more severe reactions can be increased if this herb is used on mucous membranes or broken skin. Consuming it orally can result in coma, diarrhea, internal bleeding, muscle weakness, nervousness, nosebleeds and rapid heartbeat; thus internal use should be avoided. The effectiveness of high blood pressure medications can be reduced, and the risk of bleeding can be increased in people taking blood-thinning medications if they are also using Arnica. More severe effects can result if it is taken by people who are already taking medication to enhance the function or rhythm of the heart. Hives, itching, runny nose (see our article on home remedies for running nose), shock and shortness of breath can occur in people who are allergic to this herb. It has not yet been determined what effects this herb might cause if used by children and pregnant women. Thus, the use of Arnica should be avoided by breast-feeding or pregnant women. Honey: What Can it Really Do?